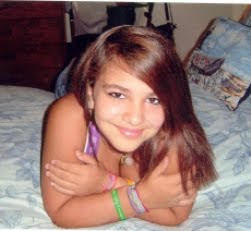 Amber alerts have been issued over several states for 12 year old Brittany Smith who was reported missing after police found that her mother had been murdered in her home. Police say Brittany is with her mother’s boyfriend Jeffrey Easley, 32. Police say the mother’s death is being investigated as a homicide but won’t discuss details on how she died. Easley supposedly lived with the mother, Tina Smith, 41. The couple apparently met each other over the internet this past summer and then he moved in with Tina and Brittany in October. The two were spotted leaving a Wal-Mart store and they were caught on the surveillance camera. The picture shows Brittany clasping at her hands or maybe picking at her fingernails. Jeffrey stood beside her as he pushed a shopping cart that had a tent, bottled water, Gatorade and camping equipment in it. It was kind of hard to tell if Brittany was being forced to be with Easley or if she was willingly there with him. But as one report points out, it doesn’t matter if she went with him on her own or if he forced her, she is only 12 years old and according to the law she is not old enough to legally decide to leave with Easley on her own. 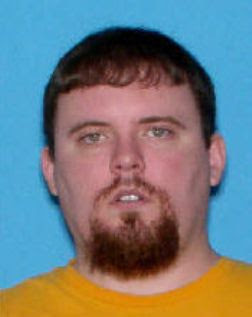 After police learned that Easley might be heading for Florida an Amber alert was issued and a gas station clerk in West Palm Beach notified police that a man that matched the appearance of Jeffrey had entered the stations bathroom. When police arrived with helicopters hovering over and the station complete surrounded, They couldn’t get any response when they knocked on the bathroom door so they forced the door open and found an unconscious man and dragged him out of the stall he was in. Once they had the man out it was clear that they had the wrong man. Easley has tattoos that are pretty distinctive that the guy they pulled from the bathroom didn’t have on him. The man they found had allegedly passed out from a drug overdose so this means that police are back to the search of Brittany. Brittany has brown eyes and brown hair and she is about 5 ft tall and wighs about 100 lbs. Jeffrey Easley is 5 ft 11 in tall and he weighs over 200 lbs. He has brown hair and hazel eyes. The tattoos he has are on his upper arms and back. They are thought to be driving in Tina Smith’s car which is a 2005, silver Dodge Neon 4 door sedan with Virginia license tag # XKF-2365. The car has a rear spoiler and it also has an Obama sticker on the rear bumper. Police are asking that anyone that might have any information concerning the whereabouts of Brittany Smith and Jeffrey Easley to please contact the Roanoke County Police Department at 540-777-8641 or dial 911 and report it. This child is not old enough to make decisions like running off with a 32 year old man, on her own. Just because she might have appeared not to be forced in the photo from Wal-Mart doesn’t mean she wasn’t too scared to run off. Maybe she witnessed something horrible prior to taking off and maybe she is too scared to run away from him. Although some 12 year old girls think they have life under control, they don’t. So until I know for sure I am not going to say this little girl is with Easley willingly. I just pray if she has indeed been forced to go along, that she will not be harmed in the process. I pray she will be returned home safe. Disturbingly though, I did read a report where at least two phone calls had been made to Social Services before Brittany disappeared in reference to something not being right with Easley and Brittany living in the same home together. Brittany’s step-grandmother told WDBJ- TV that she called them herself and was told that there was nothing that could be done unless there was physical evidence. What kind of answer is that to be given? All of this might have been prevented had they checked in on the reports. I thought that was social service’s job to check out these complaints even if they do turn out to be nothing. We are told if we see anything unusual to report it but then when we do we are told that nothing can be done unless there is physical evidence? That is like saying wait til the child is hurt or murdered and then call us. I think something needs to be changed in some of their policies involving our children. Of course social services are denying any wrongdoing here, but why doesn’t that surprise me? America’s Most Wanted plans to run a story about Brittany on their program Saturday night and the National Center for Missing and Exploited Children are planning to start posting Brittany and Easley’s pictures on billboards across Florida, North Carolina, Alabama, West Virginia and Ohio. I pray the other lost children will be found as well. Wouldn’t that be a nice Christmas gift for them and their families? Adji Desir and Haleigh Cummings! I pray that one day you both will come home. You have been gone from home far too long. My prayers are not only with you both but also with your families that miss you. God bless you all. There are some stories that even Hollywood wouldn't dare make up. Like the one about a gentle giant of a black kid from the worst part of Memphis, 16 years old, virtually destitute, who can barely read or write. His father is dead, probably murdered. His mother lives only for crack cocaine. By an extraordinary fluke however, he is accepted into Briarcrest, a private high school that offers a fine Christian upbringing for the offspring of the city's white, God-fearing and overwhelmingly Republican establishment. One of these families literally picks up the boy off the streets, takes him into its opulent home in the best part of town, gives him a new life and ultimately adopts him. The school has no special sporting traditions, and our hero has no evident interest or aptitude for sport, or for that matter anything much else in life – least of all learning. But, as a result of the indefatigable support and love of his new family, he makes good enough grades to graduate from high school, win a college football scholarship and embark on a career that takes him to the fame and riches of the National Football League. Such is the true story of Michael Oher, and Hollywood has made a film about it that has just opened across the US. The release has of course been carefully timed. This week America celebrated Thanksgiving, the perfect moment for feelgood movies about random acts of kindness to strangers, the overcoming of adversity and rose-tinted endings. The Blind Side is also about football (of the American variety) and makes its debut just as the college and NFL seasons enter their decisive phases. Last and not least intriguing, the film is a window into the most foreign of Americas, a South haunted by race and steeped in the twin religions of Bible belt Christianity and the brutal sport of football. Michael Oher's saviours are Sean and Leigh Anne Tuohy, a poster couple for the New (and these days thoroughly Republican) South. He is a former basketball star at "Ole Miss", the University of Mississippi, who now owns a chain of fast-food restaurants, while Leigh Anne runs her own interior decorating business. "Who'd have said I'd have a black son before I met a Democrat," muses Mr Tuohy at one point, summing up his existence in a world poised between the redneck and the country club. But altruism alone would not have produced a story fit for Hollywood. For that, "Big Mike" had his size and a remarkable speed of movement to thank. The boy-mountain might have had no special interest in football and his gentle disposition could not have been more at odds with the take-no-prisoners savagery of the sport. But whether he liked it or not, he had the perfect physical shape for it. The Blind Side is based on the book of the same name by Michael Lewis, a former bond trader and now author of, inter alia, Liar's Poker – to this day the funniest book written about Wall Street – and Money Ball, a study of shrewd financial management in baseball. Lewis excels in coming at a sport from an unexpected angle, and he did so again in The Blind Side which appeared in 2006, when Oher was already a star player in his second year at Ole Miss. The term "blind side" refers to the area where the quarterback, the key player on the team, is most vulnerable to being caught (or "sacked" in football parlance) by a behemoth defender on the opposing team, before he has got rid of the ball. To block this behemoth and protect its quarterback, a team needs an even larger and faster behemoth of its own. Most quarterbacks throw with their right hand, so the biggest danger comes from the left. Thus the importance of the offensive left tackle. Oher might not have realised it, but capricious nature had created in him one of the most sought-after commodities in American professional sport. In describing his attributes, Lewis waxes almost mystical. "The ideal left tackle was big, but a lot of people were big. What set him apart were his more subtle specifications. He was wide in the rear and massive in the thighs. He had long arms ... and giant hands: when he grabbed a defender, it meant something." And that is not all. "The ideal left tackle also had incredibly nimble and quick feet. He had body control of a ballerina and the agility of a basketball player." Oher would prove such a superman. "He looked like a house walking into a bigger house," said a football talent-spotter as the young man squeezed through a door to meet him. "There's the big-blob 300-pounder, and there's the solid kind. He was the solid kind." Hollywood, of course, takes the odd liberty with the facts. Amazingly, Quinton Aaron, the actor who plays Oher, is – at 6ft 8in and 380lb (more than 27st) – even larger than the real thing, who was a mere 6ft 5in and 350lb in his high school days. Measured against Lewis's book, the role of husband Sean Tuohy is somewhat understated. In the film, his wife runs the show. The South has its steel magnolias but few as titanium-plated and glamorous and as capable of giving such motivational speeches as Leigh Anne in the persona played by Sandra Bullock. The Tuohys have a son, but the real Sean Jnr cannot be as freckled and cartoon-cutesy as the maddening little boy on the screen. And then, of course, there's the syrupy musical score, making sure the mandatory lump in the throat is duly raised. Some US reviewers have found the mixture cloying and condescending. A classic essay in white guilt, one wrote. The New York Times complained about how little serious attention is given to the violent and dysfunctional background from which Oher is escaping, how the film "is interested only in that world as an occasion for selective charity". Another critic tartly noted how American films about sport "have a long, troubled history of well-meaning white paternalism, with poor black athletes finding success through white charity." In this respect The Blind Side succeeded merely in finding "a new low". Maybe. But for this foreigner in the audience, at least, such shortcomings were more than compensated by the light thrown on the cut-throat billion-dollar business that is college football – nowhere more so than for the dozen colleges that make up the Southeastern Conference, covering the heart of the old Confederacy. There, the football coach with his seven-figure salary and country club membership and private jet thrown in is arguably the most important figure on campus. When word comes of the prodigy of Briarcrest, to a man they flock to watch him. Whether or not the phrase "I hear that kid can really pepper the gumbo" was actually uttered by Ole Miss's head coach Ed Orgeron in real life as well as in the movie, doesn't matter. In The Blind Side the coaches play themselves, smooth tongued and blazer-clad, ready to push the rules to the limit to secure the services of a player who could turn a good team into a championship winner. Indeed, the tensest scene in the film is when a bureaucrat from the NCAA, the body that runs college football, interrogates Oher, suggesting he might have been illegally steered to Ole Miss: that his adoptive parents might have taken him in not out of Christian goodness, but in order to make sure their alma mater got the hottest offensive tackle prospect for decades, not one of its hated rivals. And in the ferocious universe of college football recruiting, such skullduggery is all too easy to imagine. But not in this tale, with "happy ending" written over the very first frame. This summer, Michael Oher was picked in the first round NFL draft by the Baltimore Ravens, signing a five-year, $14m (£8.5m) contract. "I don't believe what I just saw," was the immortal line of a great American sports commentator, apropos of a sensational game winning home run in the World Series baseball by an injured hitter who was not even expected to play. The film of The Blind Side inspires a similar feeling. But, a few Hollywood frills excepted, happen it did. Jeffrey B. Kindler, Pfizer Inc.'s CEO and chairman, stepped down unexpectedly Sunday after 4½ years leading the world's biggest drugmaker, saying he needs to "recharge his batteries" after reorganizing most of the company's operations. Ian Read, who has run Pfizer's worldwide pharmaceutical operations since 2006, took over immediately. Kindler, 55, described his tenure as "extremely demanding" and said he plans to spend more time with his family while preparing for new challenges. Kindler, a Harvard Law School graduate and former McDonald's Corp. executive who joined Pfizer in 2002, revamped its sprawling pharmaceutical sales operation into five divisions that gave their leaders more control and responsibility. That significantly boosted revenue in emerging markets and stabilized sales of older medicines hit by generic competition in the wealthiest countries by promoting them heavily elsewhere. Kindler also pulled off a huge acquisition that ensures Pfizer remains at the top of the pharmaceutical industry for years to come, buying Wyeth for $68 billion in October 2009. The deal allowed Pfizer to metamorphosize overnight from a maker of blockbuster pills such as cholesterol fighter Lipitor, the world's top-selling drug at nearly $13 billion a year, to a highly diversified company. It now has an impressive and lucrative biologic drug business, plus veterinary medicines and consumer health products including Centrum vitamins and Advil and Anacin pain relievers. "Now that we are about to complete a full year of operating Pfizer and Wyeth together, with our world-class team fully in place, I have concluded the time is right to turn the leadersip of the company over to Ian Read," Kindler said in a statement. Not everyone has been happy with Kindler's performance at Pfizer, though. In the last couple of years, the company has suffered a string of failures of experimental drugs in the very expensive late stages of testing. The Wyeth acquistion has cost roughly 20,000 workers their jobs at a time when the entire industry is laying off huge numbers of people. And Pfizer's stock has been in the doldrums this year and is down about 30 percent from when Kindler became CEO in July 2006. In September 2009, the company got hit with a record $2.3 billion government fine for illegally promoting a number of medicines for unapproved uses that were inappropriate for some patients — a practice that's widespread in an industry that markets some products relentlessly. Meanwhile, Lipitor will face generic competition in the U.S. in December 2011, and it's unlikely Pfizer's newer drugs and recent deals to acquire others can make up for the billions in Lipitor sales that will quickly disappear. As the chairman of the trade group Pharmaceutical Research and Manufacturers of America, Kindler was instrumental in lining up drugmaker support for this year's health care overhaul in a deal that ultimately will bring those companies more customers and sales. The industry had vigorously fought and helped defeat the Clinton administration's attempt to reform health care in 1994, but did an about-face this time. Constance J. Horner, the lead independent director of Pfizer's board, said in a statement that Kindler had recruited talented new leaders, set up more focused and agile business units, and made the company stronger and more focused. Read, 57, was promoted in 2006 to head the global pharmaceutical business, which has about 40,000 employees and brings in about 85 percent of Pfizer's revenue — about $61 billion a year. It sells everything from pain drug Lyrica and impotence pill Viagra to cancer drugs and specialty medicines, generally pricey injected drugs for complex, chronic diseases. Horner said he "has brought to product development a focus and commitment to advance only medicines that have clear value to our customers," adding his track record shows he understands global markets and can quickly adapt to compeititive pressures. Read began his career at New York-based Pfizer as an operational auditor in 1978, but his undergraduate training, at London University, was in chemical engineering. He moved up through leadership positions in Pfizer's Latin America operations, then oversaw operations in Europe, Canada and other areas. By 2002, he was head of operations in Latin America, Africa and the Middle East. Read is well enough known to industry analysts and others in the business community that Pfizer spokesman Ray Kerins said the company is not planning an analyst conference call or other announcements on Monday. The company declined AP requests for interviews with Kindler and Read. When the NFL Draft happens, few of the players standing up on the podium will have had quite a long a journey as Michael Oher. The University of Mississsippi All-American tackle says his earliest memory is walking along side a road with his brothers at the age of 2, homeless and unsure of where they were going. He spent his youth homeless and bouncing around in foster homes, before a couple took him in at 16. Michael attended 11 schools in nine years.If not in a foster home, he lived with friends. He was homeless. "As I look back on stuff, it's crazy how I got here," he says. "But it didn't seem tough at the time. I just lived day to day, did the best I could." A turning point came when Tony Henderson, who allowed Michael to crash on his sofa, brought him along when he took his son Steven to enroll at Briarcrest Christian School on the other side of town. Oher ultimately was admitted as a special-needs case. Another pivotal moment occurred during his first Thanksgiving break, when Sean and Leigh Anne Tuohy spotted Oher as they drove past a bus stop near the school. It was snowing. 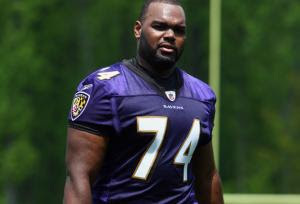 Oher, then 16, was dressed in a T-shirt and shorts. Sean, then a volunteer assistant basketball coach at the school who had met Oher at the gym, says Leigh Anne grabbed the wheel. Next came a U-turn. "She cried the second she met him, and it was over," Sean recalls. The Tuohys took in Oher, allowing him a safety net in their home in upscale East Memphis two blocks from the school. For months he came and went as he pleased, and Leigh Anne worried when he didn't spend the night. They hired a tutor to address severe academic deficiencies, paid his tuition and gave him a wardrobe and other essentials. Sean says the generosity was not the result of any epiphany or even as much as a family meeting. "We think God sent him to us," Sean says. "Earthly explanations don't make sense." Pfizer Inc. Chairman and Chief Executive Jeffrey Kindler has retired after 4 1/2 years leading the world's largest drug maker by sales, saying the demands of the job have worn him out. Ian Read, a Pfizer veteran who has been heading sales and marketing of the company's pharmaceuticals business, has taken the CEO post, Pfizer said Sunday night. Mr. Read was also named a company director. The board plans to appoint a nonexecutive chairman from its current membership when it meets within the next two weeks. The 55-year-old Mr. Kindler steered Pfizer through the $68 billion takeover of rival Wyeth, then divided the company into business units. The moves seemed to pay off in recent months, with Pfizer gaining approval of the childhood vaccine Prevnar 13. The company also reported impressive clinical trial results for a cancer therapy called crizotinib and a pill for treating rheumatoid arthritis, both of which have the potential to be blockbusters. But the consolidation and reorganization left many inside Pfizer confused about the lines of authority, and investors questioned how the combined company could grow significantly, especially with its top-selling drug, Lipitor, going off patent next year. The stock was hurt after the company cut its dividend to help digest Wyeth and long-term earnings forecasts didn't meet investors' expectations, though the stock recovered more recently after Pfizer addressed the concerns. Mr. Kindler was among the industry's leading proponents of the health overhaul, and his support drew criticism from some conservatives in Washington. A Harvard-educated lawyer, Mr. Kindler headed restaurant chain Boston Market Corp. before joining Pfizer in 2002 as general counsel. He became CEO in 2006. "The combination of meeting the requirements of our many stakeholders around the world and the 24/7 nature of my responsibilities, has made this period extremely demanding on me personally," Mr. Kindler said in a statement. With the Wyeth integration complete, he added, "the time is right" to leave. Mr. Read, 57, began working at Pfizer in 1978. He has headed the businesses that sell pharmaceuticals, accounting for about 85% of Pfizer's yearly revenue and 40,000 of its employees, since 2006. He said in a statement he "will be looking at the performance and potential of all of our businesses to ensure we are delivering value to our customers and shareholders. We have all the elements for success."